Other Products: Tombow Multi Mono Glue, Jenni Bowling Brown Sugar Ink, Distress Inks (Walnut Stain, Mustard Seed, barn door, wild honey), gold liquid glitter, Foam adhesive. Instructions: Start with a 6" x 6" folded card base. Cut pattern paper to size, distress the edges and lightly ink with walnut stain distress ink using a foam applicator. Adhere to card base. Cut a strip of coordinating pattern paper about 1.5" in width, distress the edges and lightly ink with walnut stain distress ink. Adhere in the middle of the card. Die cut the largest Opulent Oval using Opulent Oval die and 2 decorative accents using Arianna Lace die. Ink the die cut lightly with walnut stain ink. 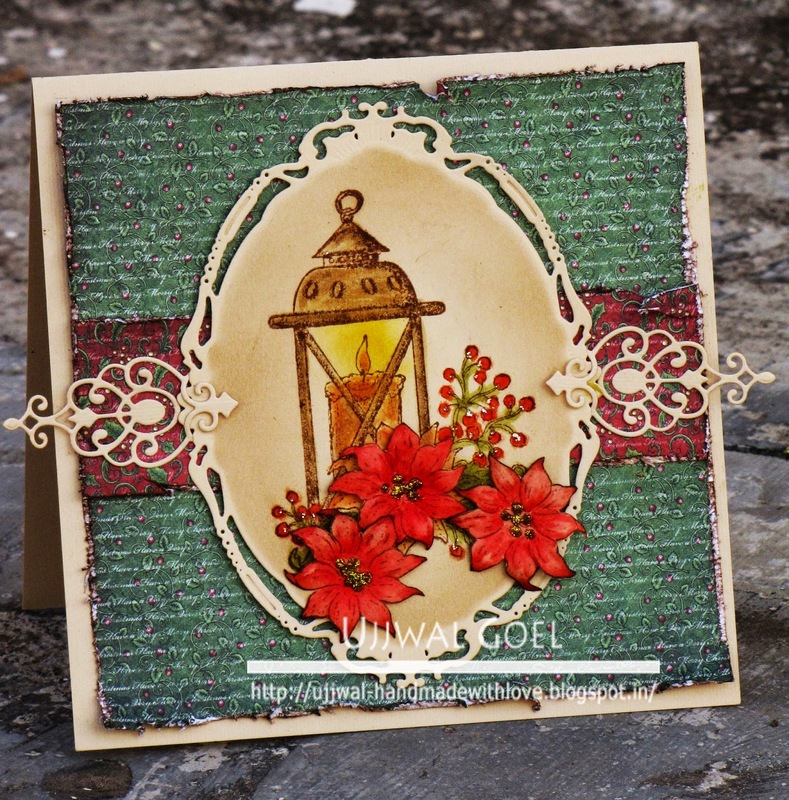 Stamp the Candlelight image in the centre of the oval using brown ink, colour with distress inks. 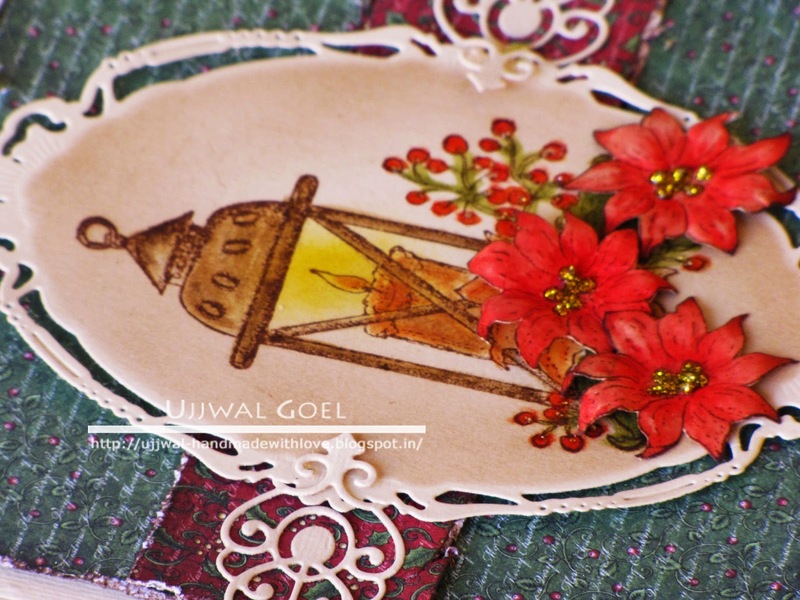 Stamp the same image on another piece of card stock, colour the flowers and fussy cut. Give them some shape using the molding mat and tools and adhere to the card using foam adhesive. Add die cut accents and glitter to the flower centres to finish. What a beautiful card! I love the coloring and the soft shading around the focal image.